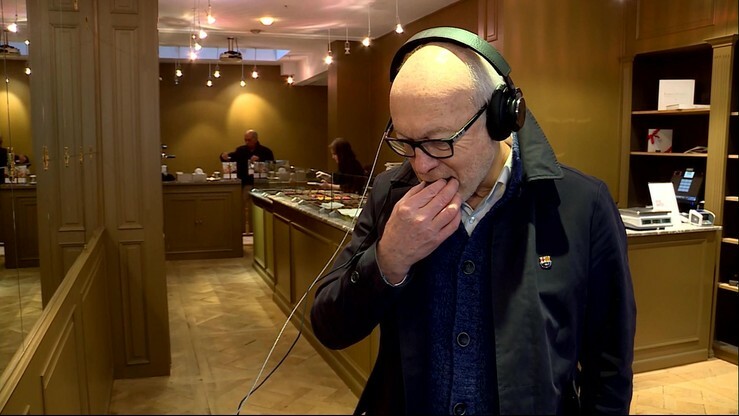 The Sound of Chocolate is one of the winners of the Make Brussels 2016 initiative, which was launched to boost Brussels as a city of creativity. The concept is developed by the organization The Sound of Flavour, that wants to add an innovative layer to the experience of one of Belgium's flagship products. 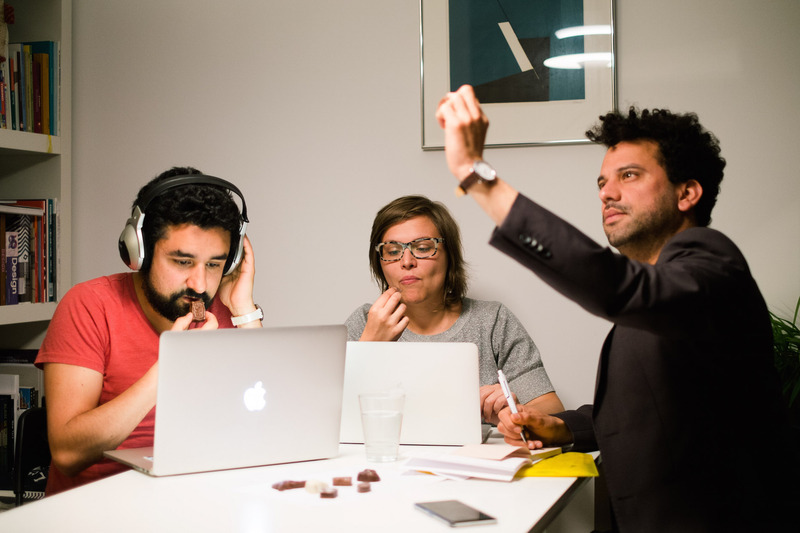 By inviting people to taste chocolate in combination with different songs, we want to make them aware on how their senses interact while enjoying food. What you hear, see and touch will influence your taste. With this unique multisensory journey, which is being co-designed between local chocolatiers, musicians and scientists, we wanted to create an original and authentic gift from Brussels. The first outcome of this project is a limited edition chocolate box that we’ve created together with local chocolatiers and musicians. The pairing process between the chocolates and the music has been developed in two different steps. First, we paired the identity of the chocolatier with a local band, in order to use the music as an essential part of the chocolate’s formula. Second, we used science in order to understand how music can enhance the chocolate’s experience. 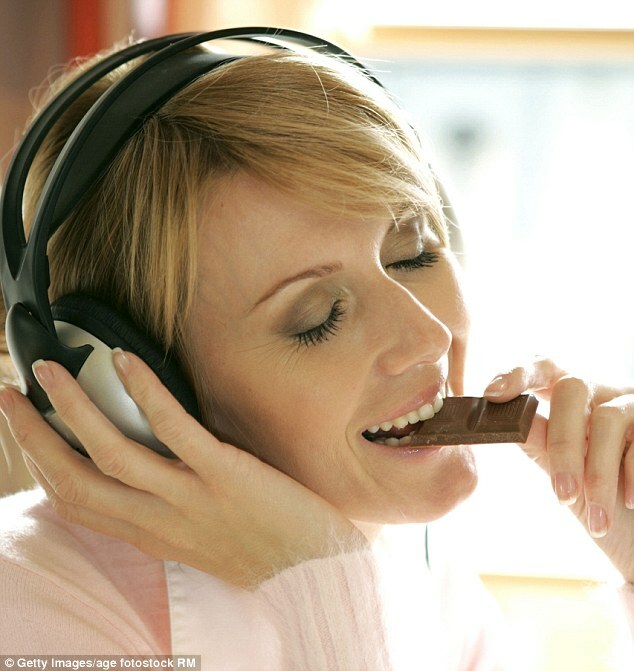 For example, some of these songs may enhance the sweetness of a chocolate, while others can enhance its bitterness. They can also truly represent the emotions that we want to bring into these tasting experiences. In the guide that you get when you buy one of these chocolate boxes, you find more detailed information about each song and the potential effects on your perception. To know more about the general scientific research behind this project, visit Sonic.Taste. One of the main missions of the founder of Leonidas, the Greek Leonidas George Kestekides, was to turn a luxurious product as chocolate into an accessible one, without compromising on the highest quality and impeccable freshness. The pralines, which are since 1913 crafted in Brussels by the fourth generation of the family, are meant to be shared. Marie Daulne (aka Zap Mama) is a sonic stylist, who alternates between storytelling and organic creative expression utilizing the tonality of the human voice. Over the past twenty years the Belgian-Congolese diva got world famous with her unique sound, which seamlessly blends African, American and European influences and mixes genres such as R&B and jazz with tribal, polyphonic vocal sounds. In order to create the perfect taste Frederic Blondeel travels to the cocoa plantations to select the beans. Back home in his Brussels atelier he combines traditional machines with the most modern techniques. This intense quest results in powerful, sophisticated chocolate products that he loves to share with everybody who likes honest, artisanal products. With Duo Aert guitarist Thomas Van Bogaert and violinist Delejan Brynaert bring an intimate, mostly classical repertoire in which the vivaciousness of the violin and the southern atmosphere of the guitar beautifully fuse. In order to let people experience how music influences taste these young talents combine their music with culinary delights. Since 2008 Passion Chocolat is a passionate love story with chocolate. For their artisan-made pralines Passion Chocolat uses only the best and carefully treated ingredients. By doing so, Massimo Ori, who owns the brand since 2008, wants to let his customers discover forgotten flavors. Besides these original pralines Passion Chocolat also wants to delight those who love more traditional chocolates. Thanks to their constant quest for innovation Passion Chocolat can enhance the authentic basic formulas in a broad range of highly refined pralines in which passion meets pleasure. When composer Pierre André and keyboardist Gaspard Giersé met singer Patricia Trejo, they were immediately impressed by her breathtaking voice. So Baïkonour was born. With their sensual songs the trio wants to tell stories that create a whole new universe. Thanks to the Spanish background of Patricia Trejo the French lyrics breath an even more southern atmosphere. Although the synthesizer and electric guitar bring as a counterweight modern sounds into the trio. Just as its name – a reference to the rocket-launching base in Kazakhstan, Baïkonour fuses hybrid worlds. works since 2006 as a freelance journalist specialized in art, lifestyle and especially design, for the most important Belgian magazines and newspapers. Since 2012 she also curates and organizes exhibitions in Brazil, to promote the diversity, creativity and quality of Belgian design. Her passions are art, design and good food. is an experience designer with more than 15 years of professional background in sound design. At the moment he is a PhD researcher at Vrije Universiteit Brussels and KU Leuven, where he assesses how all of our senses – especially sound – can add value into food/beverage tasting experiences. His passions are music and, of course, Belgian chocolate. holds a bachelor degree in Communication and a master in Political Sciences and International Relations. He has collaborated within international organizations, such as United Nations and NGOs. At the moment he works in the domain of cultural diplomacy. We want to create a marriage between art and gastronomy. 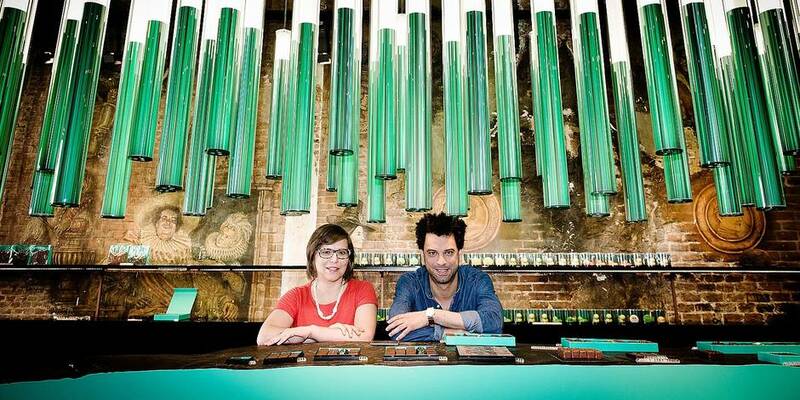 The sound of a piano will enrich the sweet flavors in chocolate.